Would have rated AUTOGEEK 5 stars except for the order was received without attaching material to secure the dashmat to vehicle dash. Called Autogeek (14 DEC 18) day after receipt of dashmat about the problem. Advised by representative that the manufacturer would mail me the part. To date (24 DEC 18) nothing received from manufacturer. Have read reviews about manufacturer (Dashmat) sending the dashmat with missing parts. Would not recommend buying a Dashnmat product unless you are prepared to buy the part yourself. I would've given this product a five, however, it was sent without the fasteners. The seller has contacted the manufacturer and they tell me the fasteners are on the way. ProsGood fit for my dashboard. Perfect as always! Great product. Your DashMat is a necessity for me!! Now I have ordered 3 DashMats for my last 3 vehicles. They cut down on the glare of the sun hitting the dash which rests my eyes. I tried different colored towels on my dash to see which color worked the best and I found the black color is the best....regardless what the color of the vehicle is inside. Black cuts the glare completely. I am so happy and satisfied and recommend it to my friends!! We have bought three of these dashmats, one for a Corolla, a Camry, and a Tacoma. We are totally satisfied with them, they fit great. excellent fit and cost, will buy again. fast shipping. Fit as well as I could but is a bit suspect,Stretched as well as I could. Still about 1/2 inch short. Instructions indicate to open and lay out one day, I did two, but still to short. I don't see anywhere where you give the make and model of your car BEFORE you order it ???? I know one size doesn't fit all......but where do you put in the make and model of your car before ordering ??? Product arrived in good shape. Is exactly as described. Fits my car perfectly.. Would buy from AutoGeek again based on this experience. Great product. Saves the life of the dash and enhances visibility. Mat is OK--fit is a little off. The Dashmat was delivered quickly and fits great. Haven't used it yet. 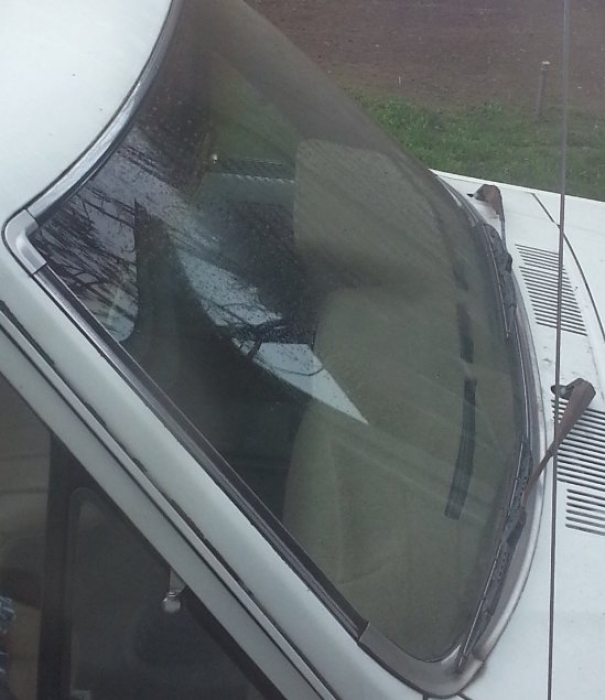 I won't use it until the weather improves as it has and effect on air flow on the windshield. I had others and they work well. I like it. Great quality and color is true to photo! Love it! ProsName brand buyer I knew of! great product for what i thought was a low price . it fit well and looks great. I have used the DashMat products for over 20 years. The products are long lasting and consistant in quality. Pretty good fit, there is only one area that could be better, but not bad. Color works great, overall I am happy. ProsNice looking, covers up peeling dash paint. Love the fit on the dash. I ordered to block glare and it did. I bought one of these for each car I purchase! Love 'em! ProsCuts down on sun glare. ConsSometimes it takes awhile to get the mat to lay down correctly, on the skinny strips. Fits perfect and keeps the glare off my windshield! It will help preserve the dash. The one in my Prius makes the car look nice. This dash mat fits well. It was easy to install and does exactly what it was designed to do. I am satisfied completely. This is my second purchase and I would not hesitate to make a third. When viewing item on line the colors do not match the color of the item sent. When the item wants to be exchanged you are charged for the shipping to return and to be sent plus the shipping that was charge when the item was sent.. Plus you are charged a restocking fee for the returned stock. When Autogeek was called I was told that the colors shown guarnteed to match. How is one to determine if that is the correct color, The fit was not as good as advertised. This order was placed April 27th and not received until May 22nd. We're not happy with these dash mats. Flimsy quality with bulging in places and they do not fit to our expectations. DashMat for 2014 BMW 535 series. I purchased the carpet version and it fit very nicely with the air vents properly located. I am well pleased with this purchase and can recommend your product to others. I THOUGHT THESE ALWAYS CAME WITH SOME KIND OF ADHESIVE STRIP TO SECURE TO THE DASH. THIS ONE DIDN'T. Arrived just as described and fit perfectly. We had put one on our 2007 van and it still looks new even with our Florida sun. I live in Az where the sun just fries the dash. The dashmat saves the dash and cuts down on heat and glare. Worth the purchase price. ProsCustom fit and quality materials. ConsThe stick strips that were provided did not stick very well. 3M velcro at the auto parts store works much better. Is this the dreaded, "review title"? 1.) Took long,long time to recieve it. 2.) After struggling,twisting, pushing & pulling, it seems my dash is to long, for this product,just a LITTLE, too long. I was not thrilled with this dash mat. Because this is the first year of the model car we have (Ford Connect Wagon LWB) AutoGeek was the only website that had one (and believe me, I researched - not even the dealer had them yet.) and so I went for it. Next year when more places have them I will replace this one. Also when I received it the installation paper had at some point gotten wet and was torn out in chunks over the top 1/3rd of the paper. This happened before it was rolled into the dash mat because there was no water damage on the dash mat. This tells me a human being rolled this thing up and could have cared less if we got an unusable instruction sheet. Also there were no sticky tabs included and I had to get my own. With all that said I have ordered from AutoGeek before (LOVE the mat I got for my Kia Soul) and when I do replace this one I will check here first to see if their suppliers/types have been updated. ConsI don't like the material used (has a bulky appearance), the seams are horrible on the underside, the trim is off slightly in color. There are areas that were bent in the shipping process that I am struggling to get to lay properly because of how/where seams have to be in the process. Hopefully when I can get a molded one this won't be an issue. Having experience with autos and aftermarket enhancements I know how to shape any carpet product to a surface when wet towels can be applied. The cut on this product is nearly perfect allowing it to lay flat on all the multiple contours of the 2014 Mazda 3, 5 Door dash, which has more lines than a crossword puzzle. This process takes about 4 days and nights to finish, but in the end the fit is perfect. Some of the cuts appear to be, in my opinion, a bit to deep toward the center, but most are well thought out and allow some variance with installation. In short, the product is as advertised and a good buy, and a great way to protect your dash from UV Rays here in Texas. ConsDifficult and lengthy fitting process. Very pleased with the dash mat. Easy install, well made and follows contour of dash perfectly. It solved an unsightly problem in 15 min.! Prosfits well, made well, vent holes match dash, easy install.